DJ went to Cedar Point with his sister Lori and Nephew Oliver. They rode tons of roller coasters and had a great time! 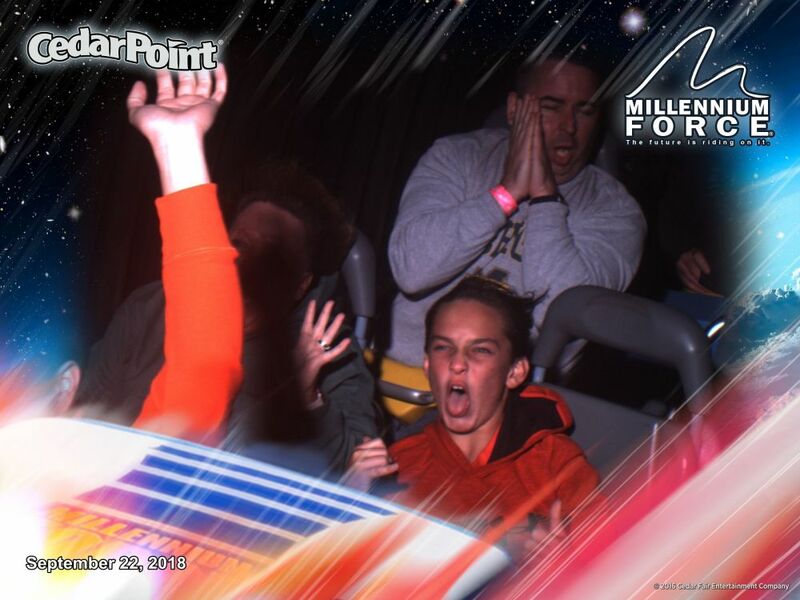 Wacky faces on the Millennium Force, the third best coaster in the park. Too bad Lori's face is mostly covered by a random arm.